Through community development investing, Praxis Mutual Funds® supports communities around the world that are working to make themselves stronger. In partnership with the Calvert Foundation, a national impact-investing leader, Praxis funds organizations like Liftfund, a private, nonprofit small-business lender that started in San Antonio, Texas. Praxis Mutual Funds helped support Mutual Housing at Spring Lake, an affordable housing development that is certified Zero Net Energy. Liftfund supports a variety of community development organizations and projects, including NeighborWorks Capital. 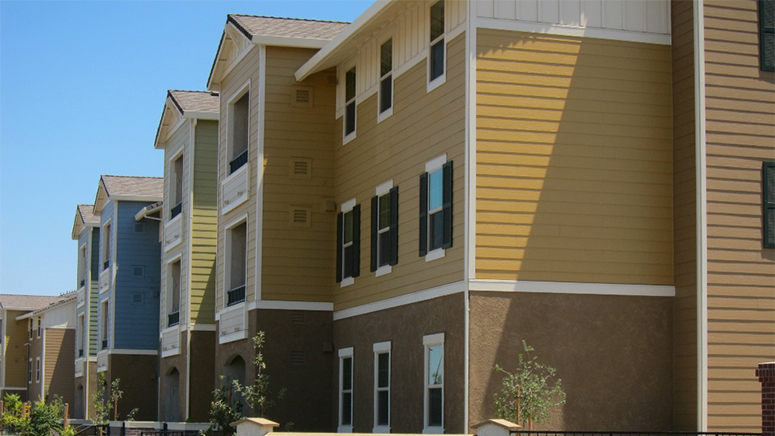 This organization helps fund affordable housing projects such as Mutual Housing at Spring Lake, in Woodland, California. Mutual Housing at Spring Lake was built specifically for agriculture workers, is less than a half-mile from the local high school and a public park, and sits across the street from Woodland Community College. The apartments are the first nationally certified Zero Net Energy rental housing, which means they produce as much energy as they use through a combination of energy-efficient design and renewable energy generation. This leading-edge design directly addresses the concerns agricultural workers expressed in a survey by Mutual Housing California, given before the property was designed. Asked about their housing-related concerns, high utility bills ranked second only to rent. Since opening its first office in 1994, Liftfund has made more than 17,400 loans totaling more than $210 million. It has developed an innovative blueprint for establishing microlending and small-business programs in new areas, and now provides underwriting and loan services to other microlending institutions nationwide. Liftfund also provides training, networking and other support services to help entrepreneurs strengthen their businesses, stabilize and increase their incomes, create employment, and contribute to the economic revitalization of their communities. Praxis has committed approximately 1 percent of each of its funds to benefit neighborhoods and individuals through investments with Calvert Foundation. Read the original story about LiftFund and the projects it has supported. For more stories about people who have benefitted from these investments, visit Praxis Community Development Investments.